Reduce spending on bottled water. 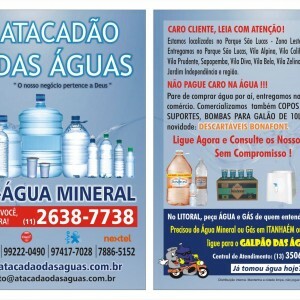 Is easy, see who only works with this ... Atacadão the waters! We have experience with our trading partner water Shed, considered the largest distributor of mineral water of the South coast. Structured and ready to get the best mineral water of the market until their residence or company, we rely on trained professionals to better answer it. Our differentiators: Competitive prices, competent team to attend, own fleet, agility, scheduled delivery, all cleaning products before delivery, free Sanitizer kit, among others. Our products:-glasses with 200 Ml-PROMOTION, see-in-bottles with 510Ml;-bottles with 1, 5 l;-5 and 6-liter disposable;-Gallons with 10 and 20 liters;-Bioleve Zero-Soda Bioleve low-calorie brand produced with mineral water-various flavors;-props,-bombs. 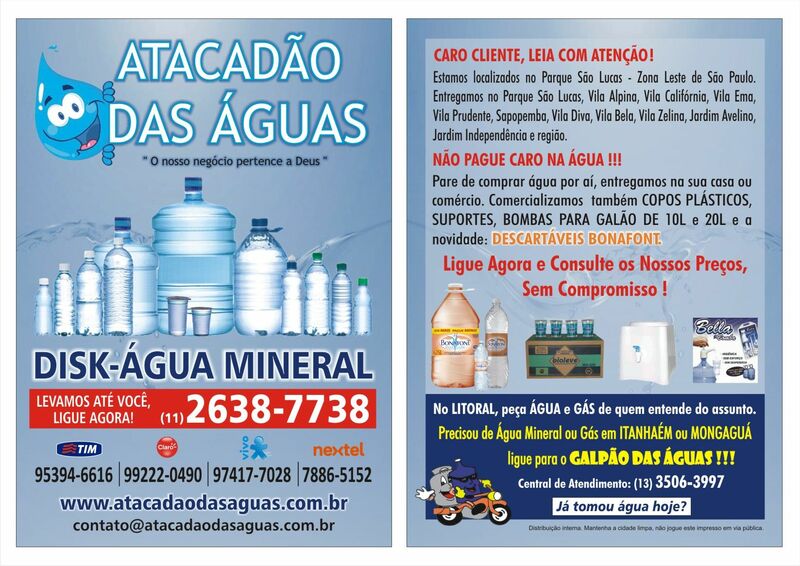 Authorized distributor: Bilágua, Bioleve and Bonafont Disposable. Call now and see our prices! Call center: 2638-7738Atacadão watersSao Paulo-SP (11) 2638-7738'' our business belongs to God ''Visit our Site!